The Artisan Equipment Kit from Old West is the Ultimate kit for the home brewer. 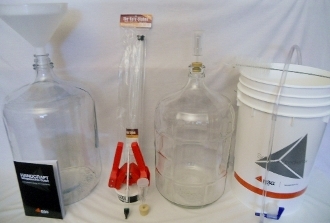 All hardware items needed to brew extract beer are included with this all glass kit. A great kit to accompany our all grain mash and lauter tuns for the all grain brewer. Toys both useful and fun are included for the gadget lovers.